An empty fridge without veggies? 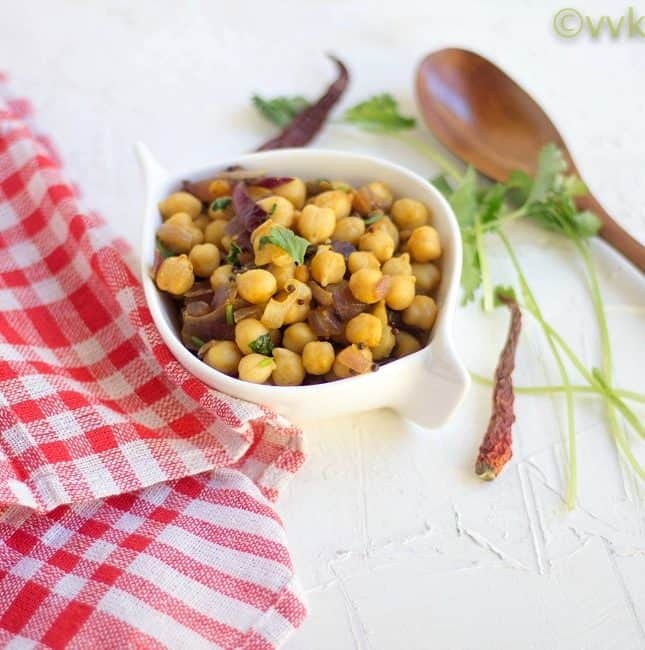 Fret not – try these delicious garbanzo beans stir fry instead of dry vegetable curry. A perfect side for your rice and a perfect mid-morning or mid-afternoon snack. 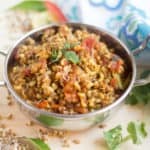 This garbanzo beans sundal is an easy-to-make stir-fry which is full of vitamins and proteins. Check out the video recipe and how I served this along with the tomato rice. 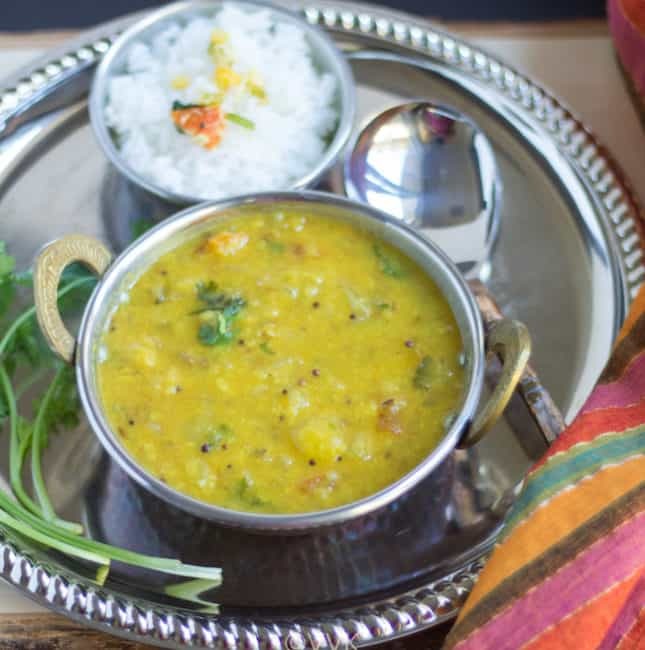 Paruppu Kadaiyal | Toor Dal Tadka – A comforting and delicious tempered dal prepared with split pigeon peas. 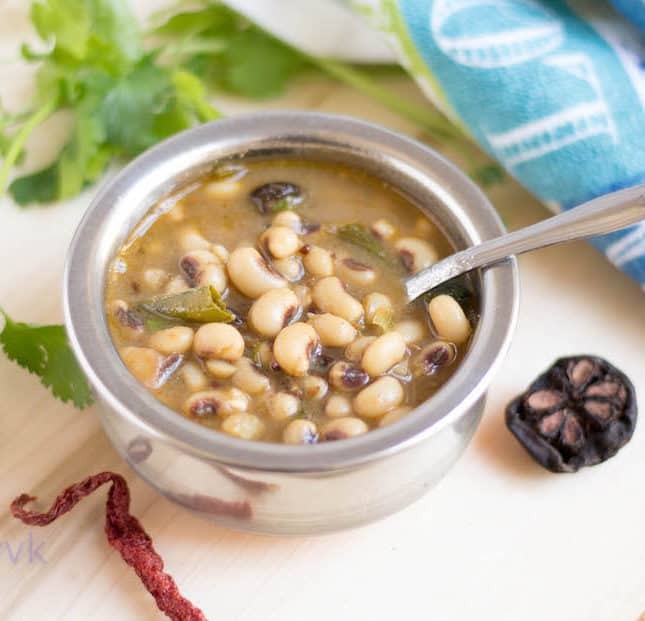 Here comes my no onion no garlic Tamil Nadu style paruppu kadaiyal recipe with detailed video. 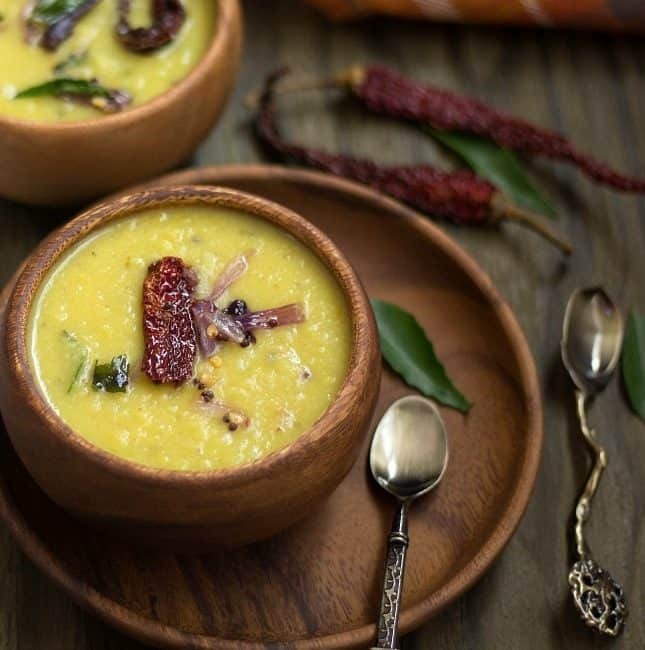 Check out what pairs with this dal and how to serve this simple dal to make a complete meal. 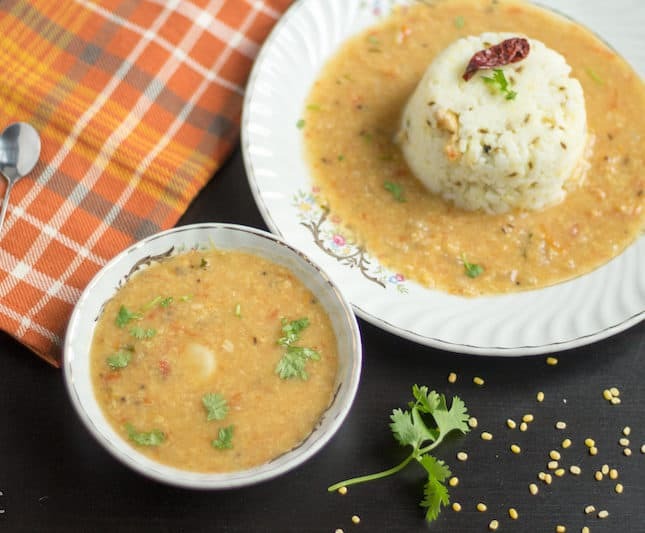 A protein-rich rice accompaniment prepared with sprouted green gram and kohlrabi with the fresh ground coconut masala. Wondering what it is? 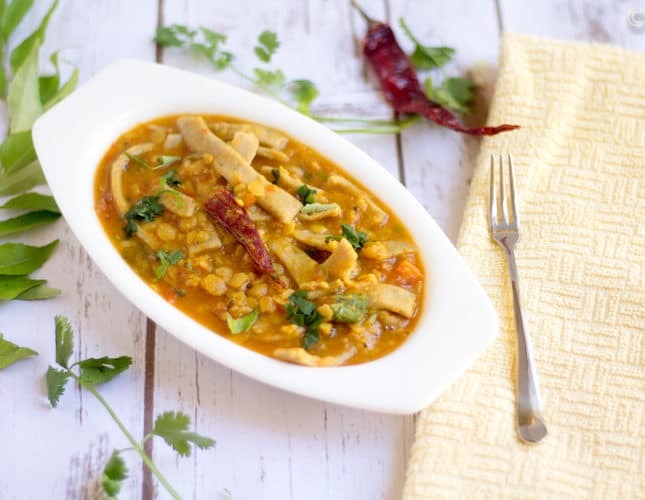 It is the Konkani special Muga Mole Randayi or Sprouted Mung Dal Curry. 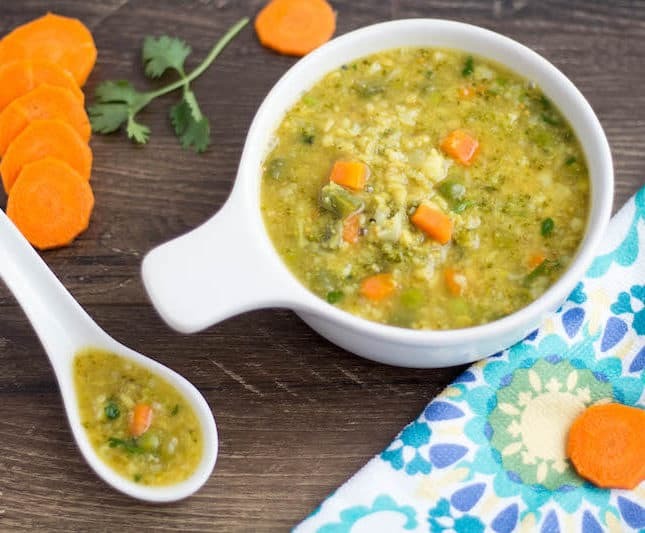 If you are looking for sambar alternatives and that too, a kid-approved one, and a no onion no garlic one, then look no further. 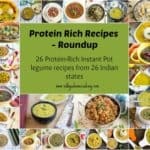 Check the detailed recipe below, and I am sure you will be adding this to your recipe repertoire. 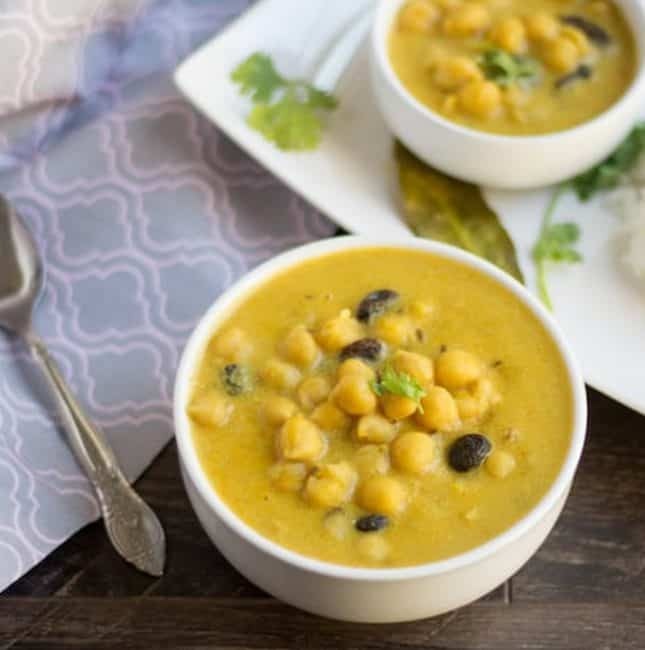 After posting quite a few North Indian and North Eastern state recipes, I am back with a South Indian recipe. 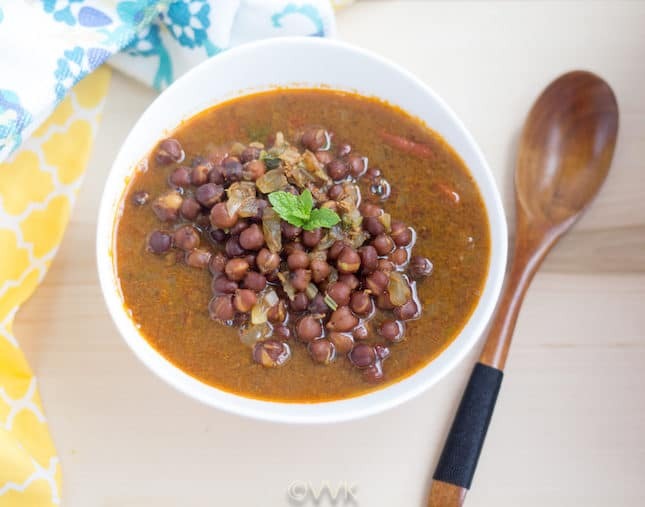 This dal is one among the comfort and staple food of Andhra/Telangana region. 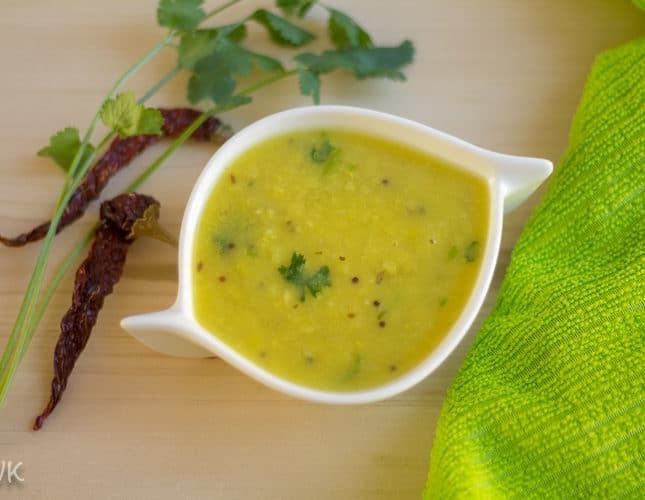 It’s the Dosakaya Pappu / the yellow cucumber dal. 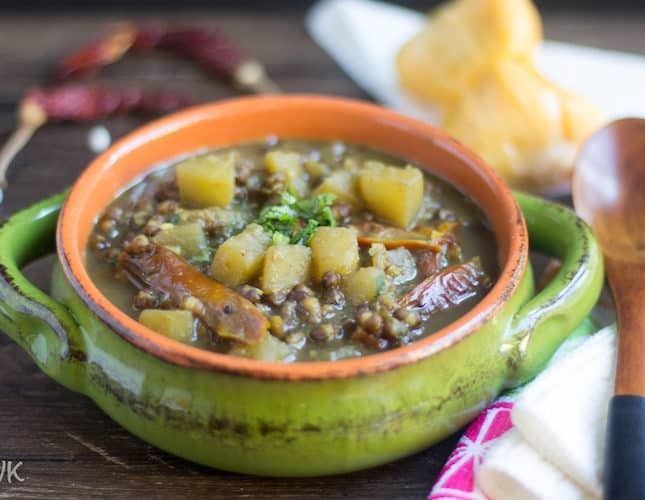 It is a flavorful lentil curry prepared with split pigeon peas and yellow cucumber. 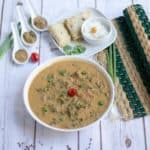 Here is instant pot and pressure cooker version of the simple yet delicious dosakaya pappu. 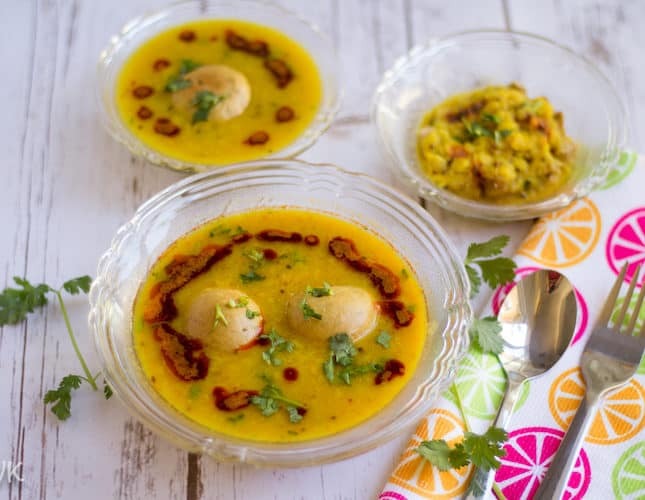 Today I am going to share a traditional recipe that is quite popular in Bihar, Jharkhand, Orissa, Assam, and Bengal of course with its own variation. The one that I am going to share is the Bihari version. 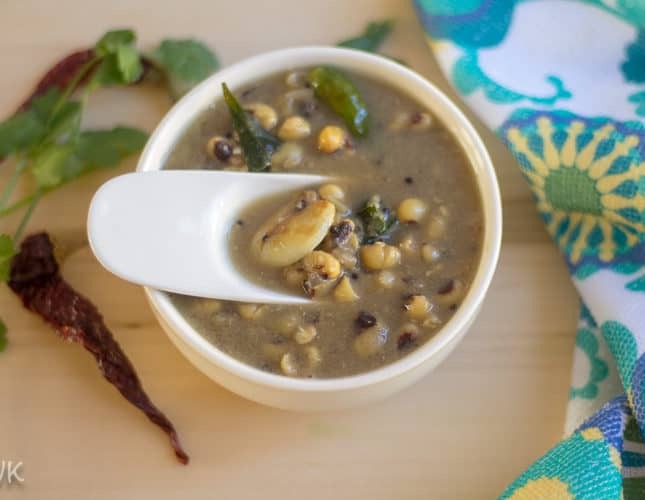 It is the Kala channa Ghugni or the black chickpeas stew. 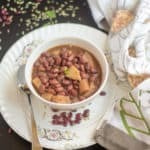 Traditionally it is served with puffed rice as an evening snack but what I learnt was you can serve this with roti, poori, and any other Indian bread too. 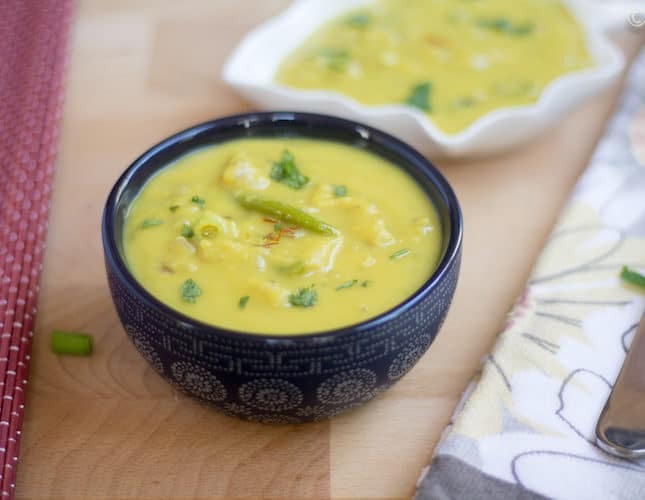 Check out my simple instant pot version of the Bihari/Jharkhand Ghugni. 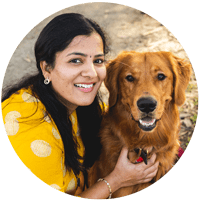 We are halfway through this mega blogging marathon, and today I am going to share Kothalere Rondha Matidail. Tongue twister name huh? Ok, let me translate it. 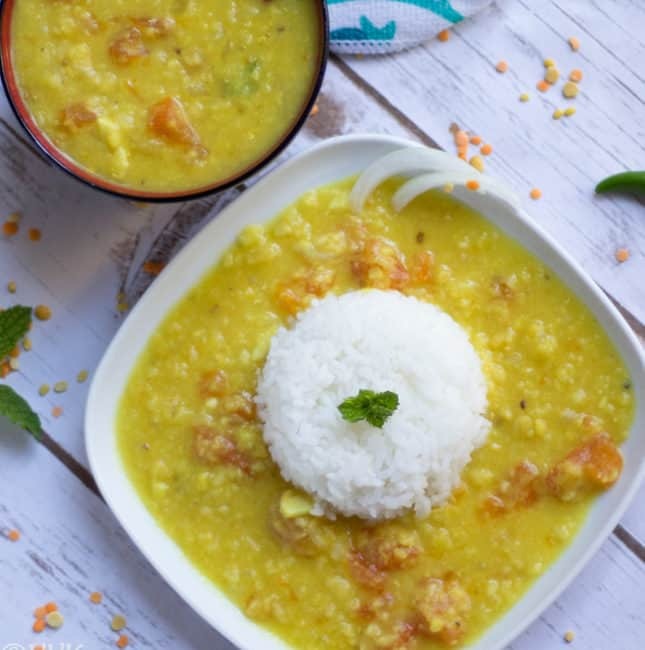 It’s the Assamese special sweet and spicy dal prepared with the unique blend of black gram, jackfruit, and raw papaya. Sounds interesting right? Especially the addition of jackfruit intrigued me a lot. Check out the interesting findings of the Assamese cuisine and also the recipe. 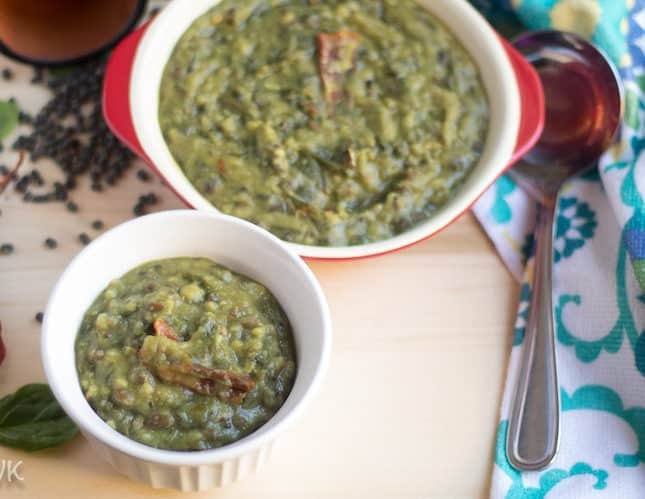 Welcoming you all to the 12th day of this “Protein Rice Series.” Today I am going share a Bihari/Jharkhand style Dal Palak recipe popularly known as Dal Sagga prepared with spinach and mixed dals with the flavors of carom and cumin seeds. 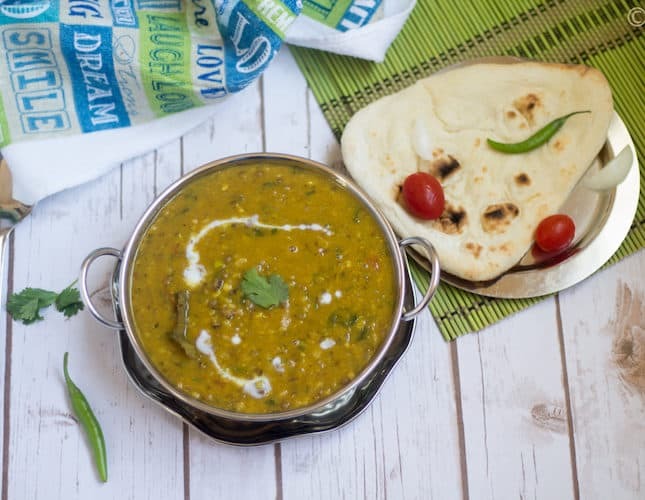 This dal is yet another No Onion No Garlic, Vegan and gluten free dal recipe. Betang Meh. Unique name huh? 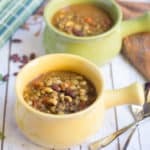 The recipe is also unique as its name. 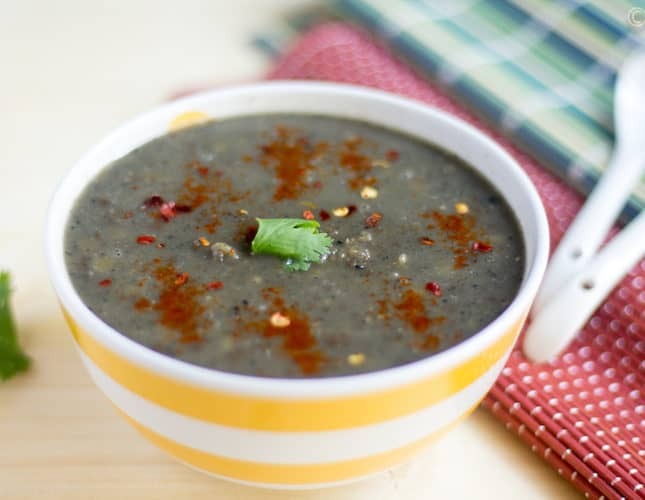 Betang Meh is a mild gravy/curry from the state of Nagaland prepared with kidney beans and spinach with the hint of ginger. It’s a five ingredient fix. 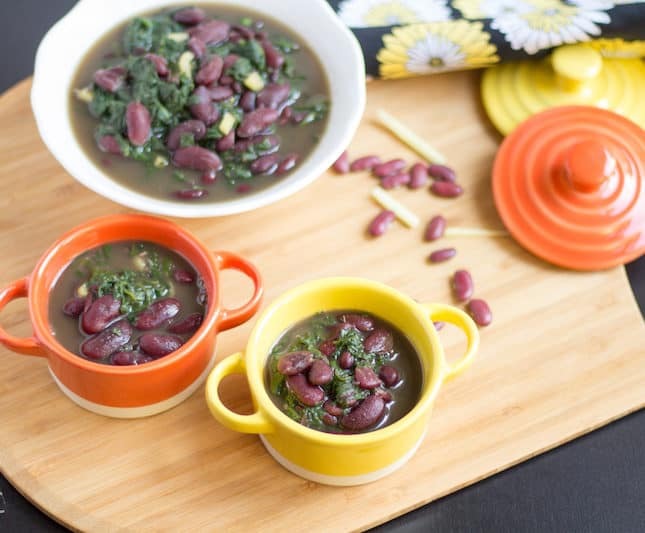 All you need is kidney beans, spinach, ginger, salt, and water. That’s it. Check out the instant pot and pressure cooker version of Betang Meh and also the different ways to serve them. 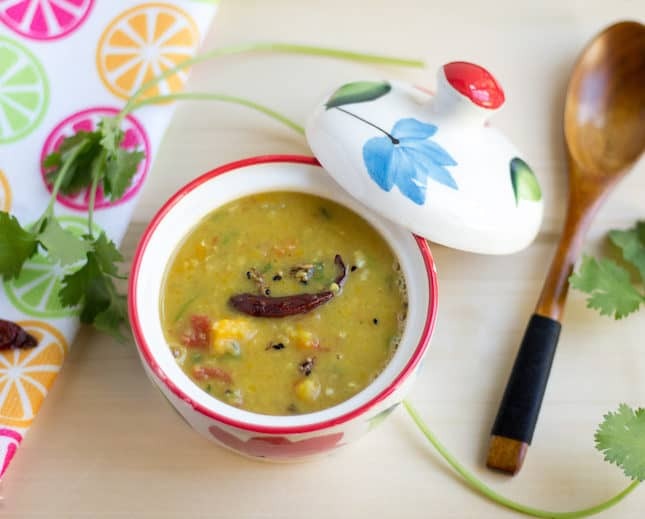 Sambar and chutney are the most commonly used Tiffin accompaniments. But are you looking for alternatives? 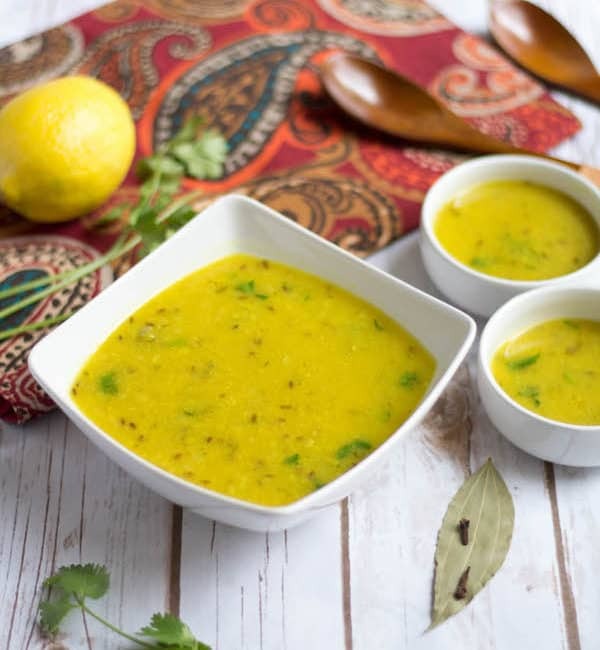 Then you are at the right place and here is a recipe for you with moong dal. Today I am going to share delicious tiffin accompaniment from Andhra/Telangana. It is the Pesaru Pappu Charu with Munakkaya or the drumsticks. Here are the instant pot and pressure cooker version of the same. 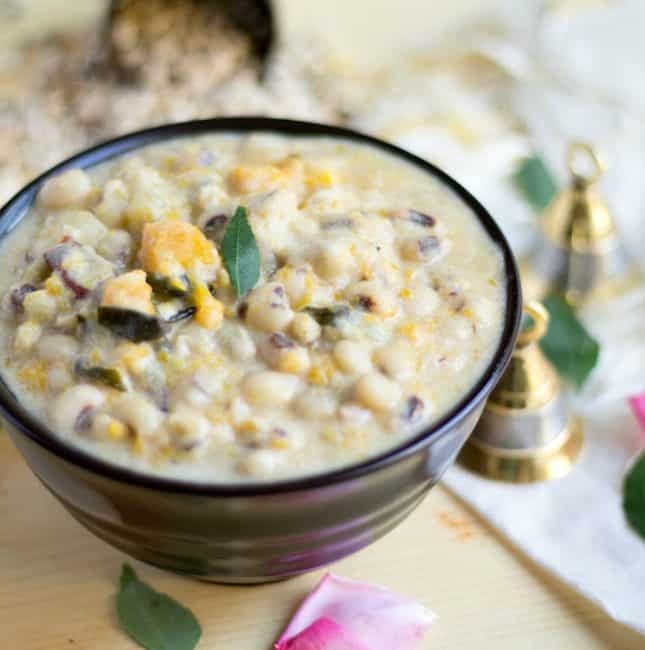 After green gram dal masiyal from TN and sobji dal from Bengal, the third instant pot recipe that I am going to post is from the land of Gujarat – The Trevti Dal. 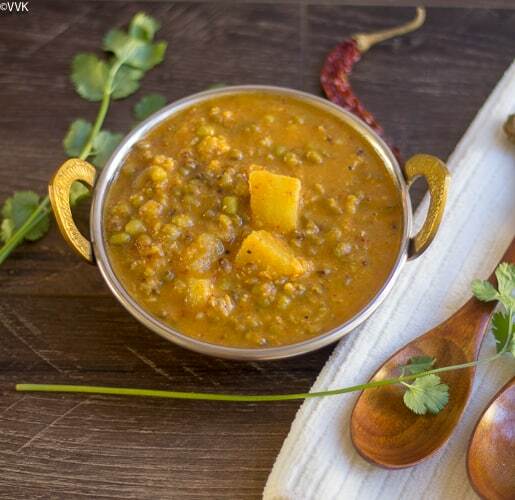 Trevti means three and as the name suggests we prepare this dal with toor dal, channa dal, and moong dal. 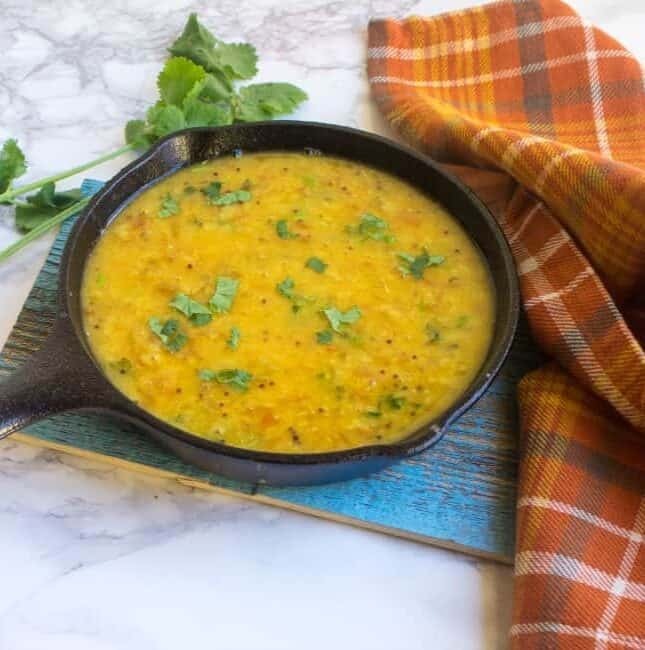 Like sobji dal, this is also a no onion-no garlic, vegan and a gluten-free dal recipe. Check out the quick video recipe and the detailed written recipe below.